Circular skirt has shoulder straps that button to shaped waistband in front. Collarless bolero fastens with hook and eye at neck edge. 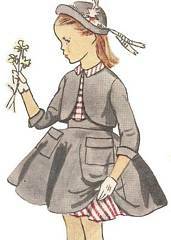 Blouse has back button closing, Peter Pan collar with pointed ends and front tuck which may be trimmed with buttons. Short puffed sleeves. Purchased hat. 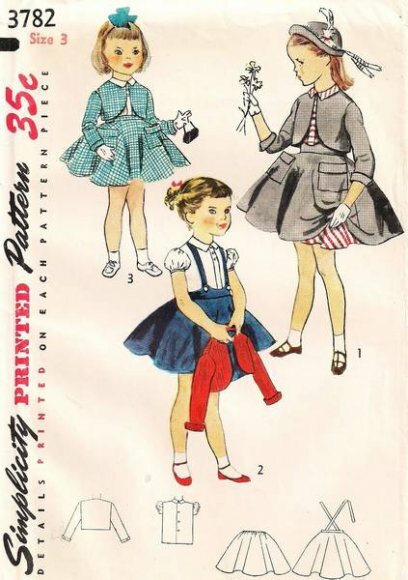 Vintage Simplicity sewing pattern 3782.